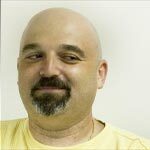 Thursday is guest post day here at Duct Tape Marketing and today’s guest is from Ross Kimbarovsky – Enjoy! A brand is the sum total of the experiences your customers and potential customers have with your company. A strong brand communicates what your company does, how it does it, and at the same time, establishes trust and credibility. Your brand lives in everyday interactions with your customers, the images you share, the messages you post on your website, the content of your marketing materials, and in your posts on social networks. 1. Be unique. One of the most iconic brands of our time – Apple – was reborn after it launched, in 1997, an innovative campaign inviting people to “Think Different”. Today, Apple products are perceived to be better designed, more fun, and more reliable than products from Apple’s competitors. What makes your business unique? What’s your story? What do you do that others in your industry do not do? 2. Grow your community. Many of the world’s best brands, including Google, Amazon, Facebook, Virgin, and Skype, spend modest sums on advertising and instead, focus on building and improving their communities. Those companies understand that if people trust a brand’s community, they will extend trust to the brand. Small businesses have many opportunities to build online and offline communities. For example, you can build online communities on Twitter, Facebook, your small business blog, on Instagram, or on other social networks. And remember that you can’t be in all places at once. Pick one or two places where you can focus building your community, and invest your time and resources there. 3. Build great products and services. Earlier this year, market research firm Millward Brown published its annual BrandZ study, ranking the world’s leading brands. 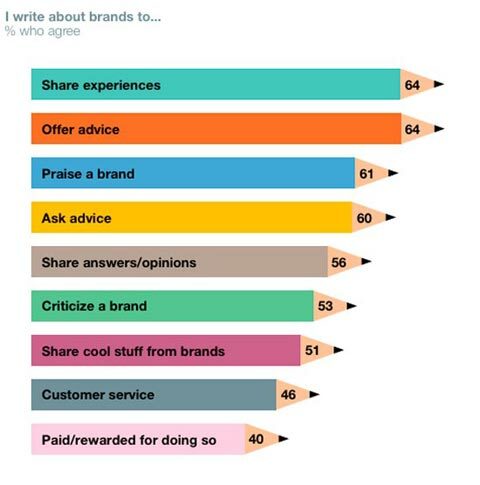 When you consider that the number one reason people write about brands is to share experiences (see graphic below from the BrandZ study), Apple’s top ranking is not surprising – people love Apple’s products. Some companies stop focusing on building great products and services when they become successful. This is a mistake. In 2008, Nokia was the world’s ninth most valuable brand. In 2011, Nokia was ranked 81st and this year, it fell even further. Even a strong brand will suffer when it creates average or below average products or services. 4. Have a good name and logo. A strong brand is easily recognizable. Recognition starts with the name of your business. The name will appear on your business cards, letterhead, website, social networks, promotional materials, products, and pretty much everywhere in print and online to identify your company or your company’s products and/or services. It’s not enough to have a recognizable name. People commonly associate brands with the brand’s logo. As you think about your logo, keep your audience and products/services in mind because you want your logo to reflect your company. A good logo builds trust and a strong logo will help to pull your brand together. Think about the logos of some of the world’s most admired brands (Apple, Google, Amazon). How do you feel (emotionally) when you see their logos? If you want to learn more about naming your business, we invite you to read 10 tips for startups and small business on naming your company. If you want to learn more about getting a great logo, we invite you to read 10 logo design tips for buyers. 5. Find your voice. What you say is important, but don’t overlook how you say it. Your company’s “voice” is the language and personality you and your employees will use to deliver your branding message and reach your customers. Successful brands speak with a unique voice. Think about the brands you admire – what makes them unique? How do they communicate with you and other customers? What do you like about their voice? 6. Be consistent. 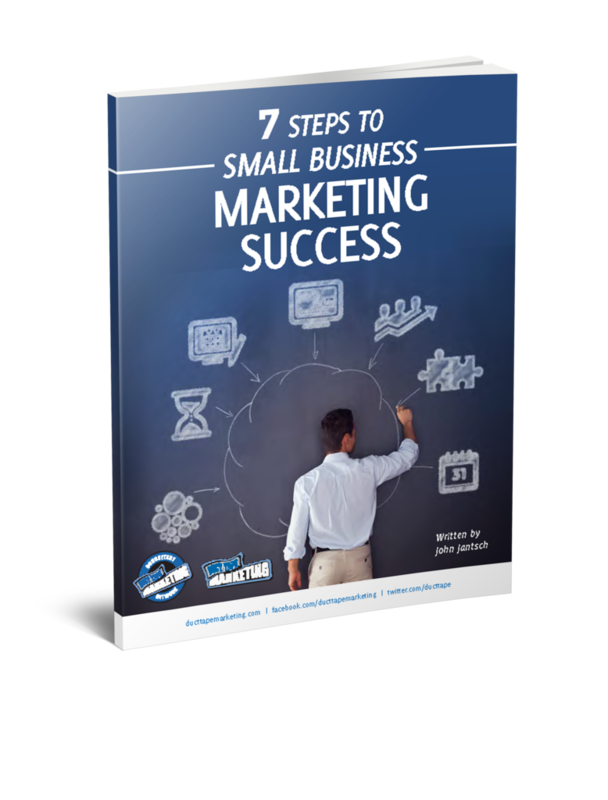 Many small businesses mistakenly change their messaging depending on their audience. For example, a company might take a more serious tone on their website but a very lighthearted tone on their Facebook fan page. This can confuse your customers and potential customers. To build and maintain a strong brand, every aspect of your brand should be as good as your product or service and you must be consistent in presenting your brand. This includes not only your company’s name, logo, overall aesthetic design, products and services, but also includes your marketing materials, website, appearances at trade shows and conferences, content posted to social networks, etc. Many of you recall that Duct Tape Marketing recently redesigned its website to better and more effectively communicate with customers and potential customers. The old site was cluttered and at times, confusing. A cleaner design and greater consistency resulted in significant benefits. 7. Keep your promises. Although this is common sense, you’d be surprised how many small businesses tarnish relationships with their customers by failing to keep their promises. Happy customers who feel good about your business are your best source of referrals. For example, Zappos has built great trust and credibility with customers by promising quick delivery (2-5 business days) but Zappos goes even further and upgrades most customers to free overnight shipping. As a result, Zappos has very loyal and zealous customers. 8. Stand for something. Think about brands you love. Those brands commonly stand for something (or against something) and connect with their customers emotionally. One of my favorite companies, 37signals, develops software to help people collaborate. 37signals believes that most software is bloated and difficult to use. They don’t compete on features – they compete on usability. They have developed a reputation as a company that stands for easy to use software. What does your business stand for (or against)? 9. Empower your customers. You are not in control of your brand. You can set your brand’s direction, but how your brand is perceived is determined by your customers and potential customers. People can become your brand’s ambassadors – spreading your ideas and brand to their own networks. Spend time nurturing relationships with such people. Who are they? What can they give and get in order to help your brand? Ultimately, successful brands recognize that if they help their customers succeed, the customers will in turn help the brand succeed. 10. Deliver value. Value doesn’t always mean lowest price. You can focus on product leadership (having the best products in the marketplace, like Apple), operational excellence (having the lower prices in the marketplace, like Ikea), or great customer service (Virgin, Zappos). You can also focus on a combination of those things. As you think about the value your company delivers – you can ask the following questions: What sets your product, service and company apart from your competitors? What value do you provide and how does that value differ from that provided by your competitors? Think about which of the benefits are emotional – the most powerful brands tap into emotions. We’d love to hear from you in the comments. What makes your small business unique? What’s your story? Ross Kimbarovsky co-founded crowdSPRING, the world’s #1 marketplace for logos, graphic design, and naming. Buyers who need a professional logo, website, custom graphic design, industrial design or written content post what they need, when they need it and how much they’ll pay. Once posted, creatives submit actual work. Buyers select from among actual work (an average of 150+ per project), not bids or proposals. crowdSPRING has helped tens of thousands of small businesses meet their creative needs. You can follow Ross on Twitter @rosskimbarovsky and @crowdSPRING and on the crowdSPRING Small Business Blog.